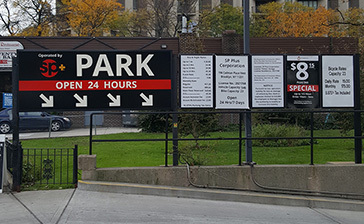 Parking.com has convenient parking near Jane's Carousel in Brooklyn Bridge Park. Refer to the map for more information on nearby parking. Jane's Carousel is a carved, wooden 48-horse carousel that was built in 1922 for the Idora Park amusement park in Youngstown, Ohio. After the park closed, the carousel was purchased and moved to Brooklyn Bridge Park where it currently resides. 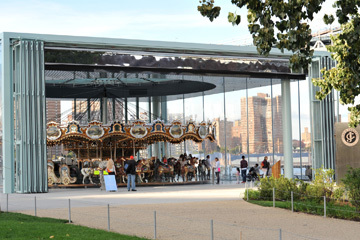 The carousel is housed in a "jewel box" structure designed by French architect Jean Nouvel. The merry-go-round is open 6 days a week (closed Tuesdays), and offers ride for $2 each.